Outgrown BEAST QUEST? 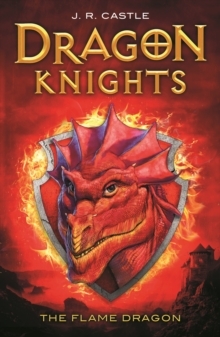 Enter the world of the Dragon Knights!Evil General Vayn gained power twelve years ago on the Islands of Alariss, defeating the Dragon Knights, an elite force with the ability to transform into dragons, using dark magic to bind them in their human forms. Now the realm is a ruin and Vayn's Black Guard rampage the land, taking whatever they want. Twelve-year-old Quinn, Vayn's nephew and the true heir has sworn to claim the realm that is rightfully his. With the help of Thea, a feisty girl with magic skills and an uncertain past, and Ignus the Flame Dragon, he travels to the remote and misty Keriss Island to seek his destiny. 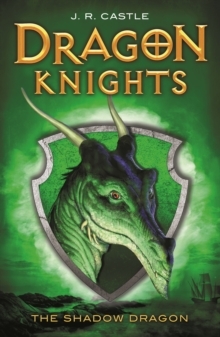 The Black Guard and their allies are on their heels when they meet Ulric, another Dragon Knight. Can they trust the shapeshifter to aid them in their quest? 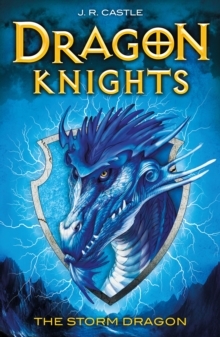 And will Quinn gain control of his own emerging dragon powers before it's too late?The second in an exciting new dragon-fantasy series for 9-12 year olds!